Košljun is a small islet with a big heart. 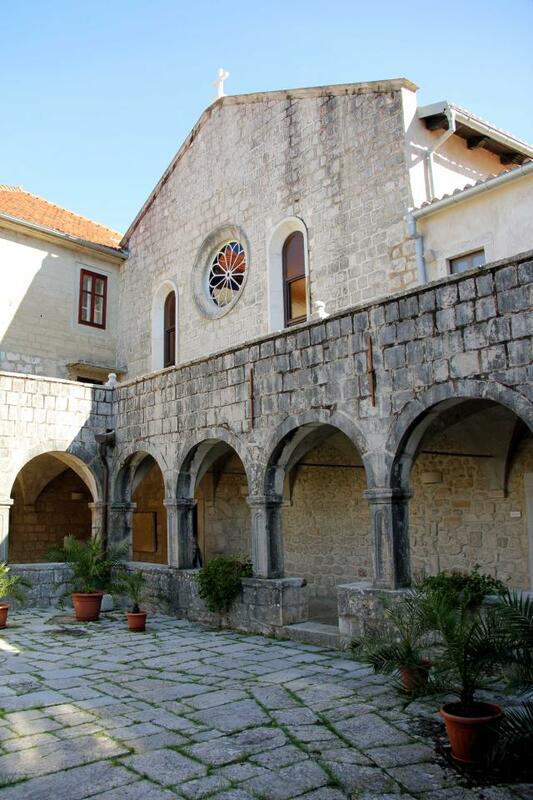 Visit the Franciscan Monastery of the fifteenth century, explore magical trails that intertwine throughout the island and enjoy the quiet spots for meditation in the forest. The island of Krk is on the southwest coast showing off its beautiful little island Košljun. However, despite its size is not so small, as on only 68,500 square meters, claims over 400 different plant species (which would be more than the islands of Great Britain), of which there were 151 registered different types of mushrooms . 65% of the island is covered with rich forest, which is intended for peaceful walks, meditation, exploration, relaxation and admiration of visitors, and the monks who live in the Franciscan monastery from the fifteenth century. 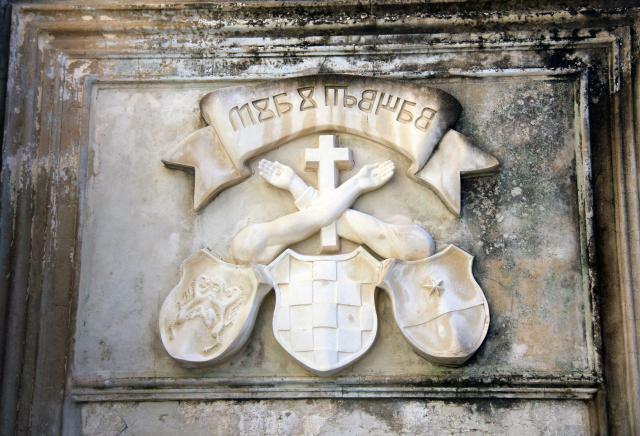 Today, one part of the monastery is dedicated to the museum, in which, inter alia, is kept a collection of folk costumes, and rare examples of Glagolitic manuscripts. There is also a legend about the origin of the island. They say that sometimes in this bay there was no sea, but the field, which was owned by two brothers. One of the brothers was blind. Both brothers worked together, but when the harvesting time came, the blind brother was ripped off. This as they say, pissed off God, so he sunk the field into the sea. What remain were only possession and the house of the blind brother. 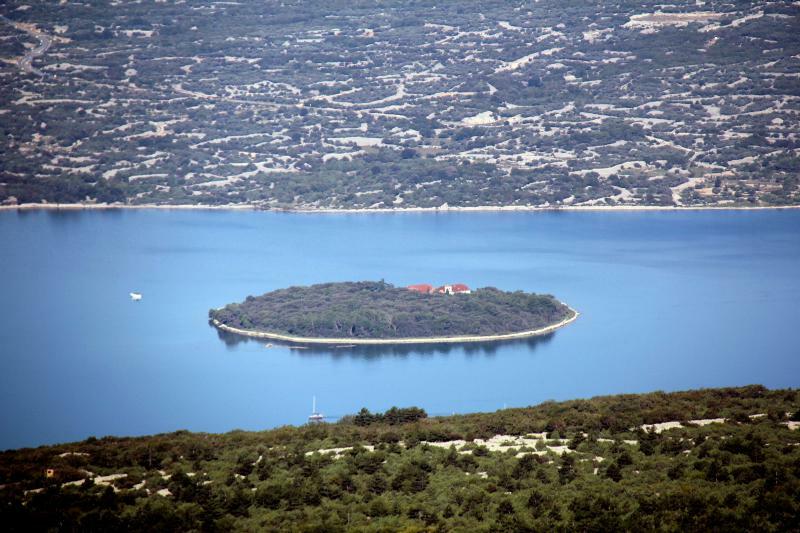 This property is now islet Košljun. Islet Košljun is now very popular among tourists mainly because of its rich cultural heritage and the special atmosphere which is triggered by the Franciscan monks and their monastery. Of course me and Tomaž had to visit the islet as well. The island lies in the Gulf of Puntarska draga and it can be reached by public transport. For about (20kun) taxi-boat will brought you to the island and back. We set the time of the return to the coast with the Capitan of the boat, which does not affect the price. The first thing that we saw when we arrived at the island was the statue of St. Francis of Assisi with his friend wolf, which symbolically illustrates how can a wild nature become a man best friend – that is exactly what has happened with the nature on the islet of Košljun. The forest of evergreen oak trees is sheltering and protecting the monastery, and saves the fertile soil, which would otherwise be blown away by wind or cleared due to rain. This would make the island deserted and lifeless, like most other islands in the Adriatic Sea. Since the entire island a museum, it was necessary to pay the entrance fee (20 kuna), from which, now day the local monks are taken care of. For the same purpose the islet these days hosts a variety of events, concerts and exhibitions. In front of the monastery there is a sign on which is written in the Glagolitic “Peace and good” This is also the way monks are greeting their visitors. We walked through the museum and visited the beautiful historical props. I was impressed above the stitched costumes and hand-made goods, and imagined how much energy was needed, that they’ve sewed and created something so beautiful. After seeing the museum, we walked along trail through the woods. We arrived to the edge of the island, from which we saw Puant marina – the largest marina on the island of Krk. Then we walked along the path, which took place at the edge of the island. Everything smelled like nature, while the sun was shining on a variety of beautiful flowers which grew on the islet. We arrived to the meadow with beautiful olive trees, and then walked in between the old walls and looked at statues. We as well walked pass the Stations of the Cross, tombs and chapels which have been sorted in the corners of this rich forest. In the end we went into the museum, with souvenirs sold by a monk. I liked the handmade pendants with Glagolitic letters engraved in the wood. I had to buy one myself as well. The time of arranged departure came, and this time we were picked up by a real touristic boat with the sounds of Dalmatian music which took as back to the shore. We were definitely satisfied with the islet. If you want to combine history, culture and nature this is the place worthy of your visit.